The National reported today that Ryanair chief Michael O’Leary anticipates lower growth in airline traffic resulting in financial loss to his business over the next few years, whilst Brexit is being negotiated at Westminster. Referring to the Scottish Government’s intention to reduce or remove “air passenger duty” he said ” you scrap it and we will begin the process of doubling our traffic the following day and I think we would go from 5 million to 10 million passengers within about 2 years. Scotland will benefit through a massive increase in traffic,tourism and jobs. Independence would bring further benefits to Scotland since remaining with the EEC will ensure retention of the “status quo” which would not be the case for England & Wales. 2. The right to fly within an EU country (known as ‘cabotage’). The restriction in the first freedom would have an immediate impact on UK airlines using EU airspace. Furthermore, it would not be possible to fly between the UK and a member state if the airline is based in a third member state. In other words, a German airline would not be able to service the routes between the UK and any EU country besides Germany (see rows 3 and 4 in Table 1 below). This in turn would significantly restrict competition and air traffic from the UK. For the same reason, the restriction of cabotage would mean that fewer airlines could serve the UK domestic market (see row 6 of the table below). While the impact on domestic flights might be relatively small, the restrictions on the UK–EU market could be significant, restricting competition and driving up airfares. Market liberalisation reform such as that put in place in the EU has had major impacts on the aviation sector. Estimates suggest that traffic growth following market liberalisation averages between 12% and 25%. For the single market in the EU, traffic growth doubled in the four years after liberalisation compared with the four years before it, and a report on the post-liberalisation market by the UK Civil Aviation Authority (CAA) suggested that there were significant competitive benefits, such as declines in the market share of national carriers in both international and domestic flights. These flight restrictions would also affect UK airports. Under the EU–US Open Skies agreement, a US airline can operate flights between two points in the EU. Absent such an agreement with the UK, traffic from US airlines could be diverted to other hub airports such as Dublin. More broadly, the UK would need to renegotiate airline services agreements with the EU and other partners in order to allow market access. Any such agreement could take several years to implement, however. Indicatively, the Open Skies deal took four years of negotiation to finalise. If there were a gap in these agreements in the interim period, the reduction in capacity would push airfares up. Most immediately, there would be a reduction in operators able to fly from the UK to EU member states, as described above. 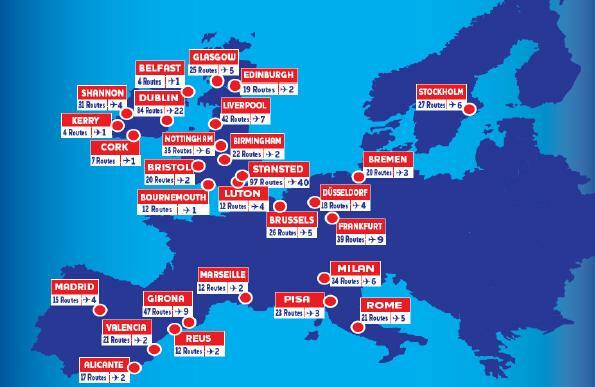 This could be partially offset by UK airlines switching operations away from Europe. Estimates are that if all flights operated by third-country airlines were removed, airfares for UK passengers would rise by 15–30% depending on the amount of capacity reallocation. These restrictions cannot simply be overcome by airlines setting up subsidiaries in Europe, because ownership restrictions do not allow non-EU investors to own a controlling interest in an EU airline. High-value freight is also transported in bellyhold on passenger flights. This type of freight would be affected by the changes to passenger services described in the section above. The impacts of Brexit under different scenarios and possible ways to mitigate them are summarised in the table below.